Showman ® Browband headstall and breast collar set with beaded inlays. This set features medium oil leather with a light blue and pink beaded inlay design. Accented with copper studs and multi colored crystal rhinestone conchos. 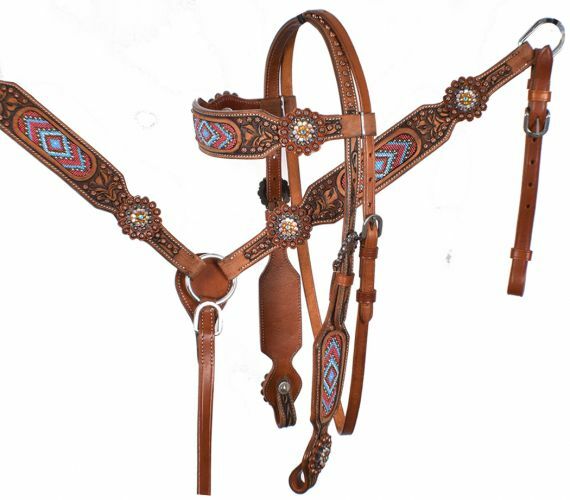 Set includes browband headstall and breastcollar.